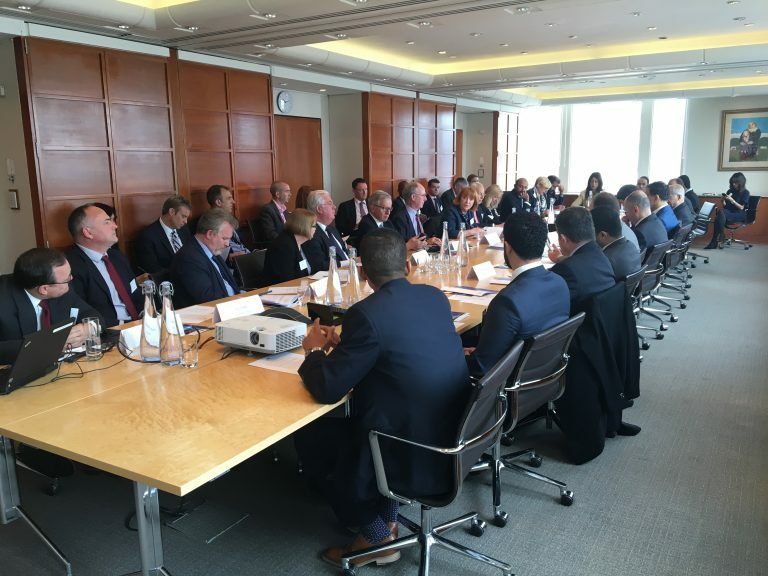 Some 40 Saudi and British members attended SBJBC’s Biannual Meeting on 11 May at SBJBC UK member Clyde & Co’s offices in the City of London. There was a lively discussion of opportunity sectors under Saudi Vision 2030, including presentations by Pearson and Oxford Strategic Consulting. Also discussed were progress updates on SBJBC’s PPP lessons learned paper, follow up to the SME partnership forum and post-Brexit trade development. The meeting was followed by an infrastructure focussed dinner hosted by the Institute of Civil Engineers in partnership with SBJBC member Pinsent Masons. A summary meeting record will be available to members shortly.